Jazz Now: Patrick Jarenwattananon, Editor : A Blog Supreme A Blog Supreme editor Patrick Jarenwattananon offers his picks of five albums with which to introduce people to current jazz expressions. It's part of the Jazz Now series, asking young jazz fans to contribute their picks. I'll confess: I had to learn to appreciate what's going on in the jazz scene today. Growing up in a smallmid-size Midwestern city, I didn't have immediate access to many masters of the present moment. So I listened to lots of records -- in particular, old records. Even when I was living in New York, it took some time to unlearn the tendency to compare new music to the recordings of yesteryear. But more than ever, today's jazz musicians don't worry about positioning themselves within the canon. Much of the music mentioned here does mine jazz's rich history for inspiration, sure, but it's not necessarily in a "worship the ancestors" sort of way. And once I understood that this music wasn't designed to be validated in light of, say, Art Blakey, I began to appreciate the diverse array of people searching for original voices within their own personal experiences. Jazz now is inspired by, workshopped on and recorded in ways that deserve their own terms of evaluation. For our Jazz Now series, I picked five albums with an eye toward immediate gratification -- all made with the sort of seriousness that reveals itself fully after multiple listens. I also considered some of the narratives and trends I see in modern jazz, but this isn't intended as a comprehensive portrait of the scene today, either. This is just some stuff I like, which I think others would like, too. I think this was the first jazz record I ever wrote about; I did a review of it for my high-school newspaper back when it came out in 2003. (I don't think it's been archived on the Internet yet, fortunately.) I recall effusively praising the trio's embrace of Nirvana, Blondie and Aphex Twin anthems. The way they did it -- by treating those covers as vehicles for serious, uniquely styled musicianship, thus collapsing allegedly high and low art -- was not only mind-expanding to me; it was also sonically addictive. So many of the sounds seemed new, but anchored by familiarity: Ethan Iverson's swirling piano solos, Dave King's virtuosity in abundance, the palpable but not overbearing post-production craft. These guys were (are?) the Bee's Knees of the jazz media for a reason. Take time to engage with what they're trying, and their music keeps giving. "Smells Like Teen Spirit," from The Bad Plus, These Are The Vistas. Ethan Iverson, piano; Reid Anderson, bass; David King, drums. Wiltshire, United Kingdom: Sept. 30-Oct. 2, 2002. --Mostly Other People Do The Killing, This Is Our Moosic (Hot Cup): Post-modernism at its psychotic funnest. --Vijay Iyer Trio, Historicity (ACT Music): Includes the smartest, most rigorous way anyone has ever tackled the music of M.I.A. (among other covers). Ok, so this record is really, really good, sure. Imaginative, majestic, full of killer blowing and that distinctively floating, heliotropic, Schneiderian ambition. It's outright stunningly beautiful, which is a "way in" for people who like music but are scared of jazz. (Vocalist Luciana Souza in her finest backup role, y'all.) Plus, solely as a matter of personal opinion, I find this grooves harder than Sky Blue, which the critical consensus found to be one of the best albums of 2007. But this record makes my list because it lies at the intersection of many different important undercurrents in modern jazz. Like much of the most innovative Latin jazz today, it subsumes serious musicological inquiry into Iberian and Latin American music into creating a new Afro-Western hybrid -- sort of a contemporary version of what Jelly Roll Morton called the "Spanish Tinge." It's also a big band record, and from a working group at that, which spotlights a counterintuitive trend: at a time when putting together a big band is more impractical, anachronistic and financially unsustainable than ever before, there seems to be a minor renaissance in people wanting to do it. Finally, the recording was funded through ArtistShare, and the compositions were commissioned by various state or private patrons. In today's economic climate, where nobody seems to want to spend money on anything, let alone legally-acquired music, the privately-funded business model seems to be growing steadily in importance. Also, it's really, really good. Have I said that yet? "Choro Dancado," from Maria Schneider, Concert In The Garden. Maria Schneider, composer/arranger, with the Maria Schneider orchestra: featured soloists Rich Perry, tenor saxophone; Frank Kimbrough, piano. New York, N.Y.: March 8-11, 2004. --Guillermo Klein, Los Guachos III (Sunnyside): Almost all of the foregoing applies here too; plus, the exciting parts are even more potently condensed. "I Can't Help It," from Gretchen Parlato, In A Dream. Gretchen Parlato, vocals; Lionel Loueke, vocals/guitar; Aaron Parks, piano; Derrick Hodge, bass; Kendrick Scott, drums. New York, N.Y.: Sept. 16, 2008. --Aaron Parks, Invisible Cinema (Blue Note): The young pianist on Parlato's disc proves he's also an imaginative, grand composer. Figures. --James Carney, Green-Wood (Songlines): A little left-field in reference to jazz vocals, but if we're talking masterful arrangers with killer bands, you can't sleep on Carney. One of the coolest things about this point in jazz history is that musicians themselves can live anywhere in the broadband-enabled world, and we can instantly hear what they're working from across oceans. Take Polar Bear, a London five-piece with two tenor saxes, bass, a drummer with hair that could be considered an occupational hazard (leader Seb Rochford), and a guy whose primary job it is to make funny noises with laptops and found objects. Long a point of pride for the U.K. jazz scene, dudes clearly have some avant-garde tendencies, but not necessarily in an unstructured free-for-all sort of way. There are plenty of immediately perceptible anchors to the band's music, be it the preponderance of giddily pulsing grooves, the catchy melodic fragments, or just the warm hue of a saxophone against woody acoustic bass. In "tomlovesalicelovestom," from the band's self-titled third album, fuzz generator Leafcutter John even gets the spotlight -- which he uses to play with a deflating balloon -- but his work is always in service to something that feels innately familiar. It's the sort of thing that would be at home on tour with experimental-yet-engaging rock bands like Dirty Projectors and Lucky Dragons -- hey, will you look at that. "tomlovesalicelovestom" from Polar Bear, Polar Bear. Sebastian Rochford, drums; Pete Wareham, tenor saxophone; Mark Lockheart, tenor saxophone; Tom Herbert, bass; Leafcutter John, percussion and electronics. Released 2008. --Atomic, Retrograde (Jazzland): Five Scandinavians using "the new thing" of the '50s and '60s as inspiration for modern (and often quite lyrical) free jazz. --The Vandermark 5, A Discontinuous Line (Atavistic): As I've maintained, the Chicago band is a great gateway to what's going on now in out music. "Gone" (variation on "Gone, Gone, Gone"), from Stefon Harris and Blackout, Urbanus. Stefon Harris, vibraphone/marimba/arrangement; Casey Benjamin, alto saxophone; Marc Cary, Fender Rhodes/keyboards; Ben Williams, bass; Terreon Gully, drums. Also with Y.C. Laws, percussion; Anna Webber, flute; Anne Drummond, flute; Mark Vinci, clarinet; Sam Ryder, clarinet; Jay Rattman, bass clarinet. Hoboken, N.J.: Jan. 13-15, 2009. --Esperanza Spalding, Esperanza (Heads Up): Came for the airy Brazilian melodies and R&B lilt, stayed for the sheer audacity of it all. --Mike Reed's People, Places and Things, Proliferation (482 Music): A hard-edged and smartly contemporary reading on post-bop of a bygone era. 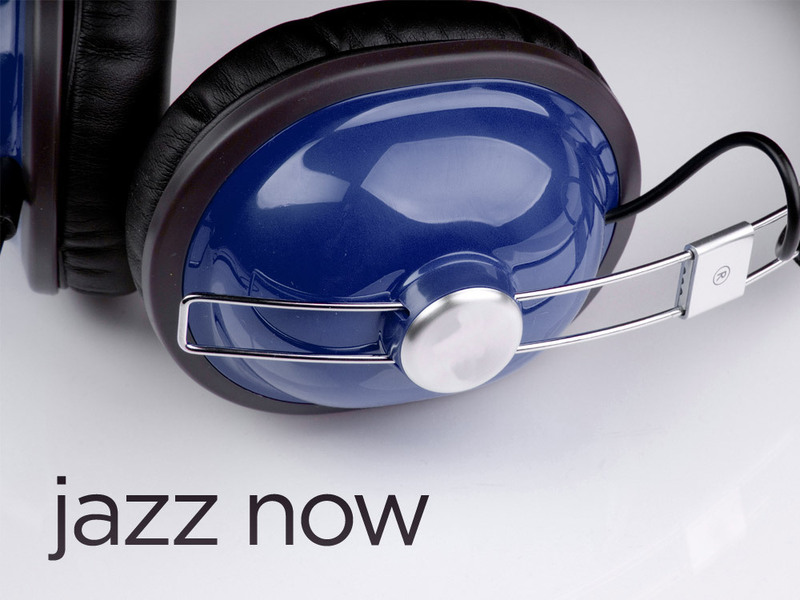 Which five albums would you pick to introduce an open-minded listener to the jazz of today? Let us know: leave us a comment, or write about it on your own blog -- and let us know where to find it. For more information on this series, read the introduction.